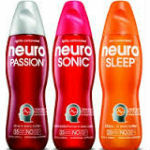 Get a free Neuro Sonic drink. Create-A-Sonic. Enter the contest by submitting your personal bottle and flavor before October 31. Everyone who enters gets a free sonic drink. I would be ecstatic to receive all the free things I am eligible for. Thank you very much.